Sometimes your beer yeast gets a little too excited and makes a mess of your airlock. This is the .. 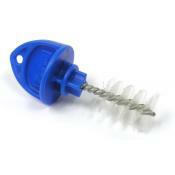 This beer bottle brush is the perfect tool to help cleaning the gunk out of your bottles. These br..
18" tall, plastic beer bottle draining tree. Compact, stationary model. Holds 45 bottles. .. Plastic Beer Bottle Tree. Will hold up to 90 bottles to drain and dry. 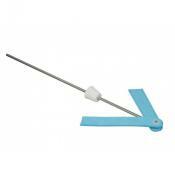 Innovative, rotates for eas..
Brush for cleaning faucets on your homebrew draft system. Also acts as a plug when faucets are not..
Line Cleaning 2-GO system has a 5 quart hand pump reservoir with a 25" line with a sanke duplex cl.. 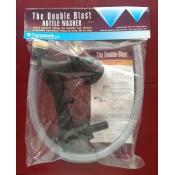 Blast your beer bottles clean with this deluxe stainless steel bottle washer. Specially designed t.. Blast beer bottles clean, in half the time! Press down to rinse, lift to stop. Instantly connects .. The Vinator Bottle Rinser is a reservoir with self-priming pump that shoots a stream of sanitizer .. 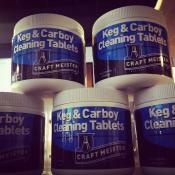 Introducing the first pre-measured cleaning tablet designed exclusively for home brewers! Pre-meas.. 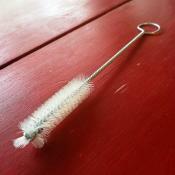 Messy fermentations and krausen gunk are no match for this one gallon carboy brush. 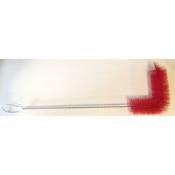 This brush can..
29" long, with bent end. 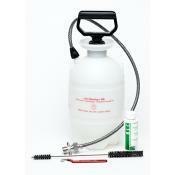 Perfect for cleaning glass or plastic carboys of all sizes. .. 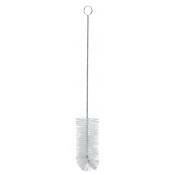 This carboy brush has softer bristles than the regular carboy brush and the same 90 degree bend to.. 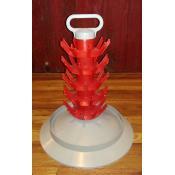 The Carboy Cleaner is made of a 100% non-woven viscose material. Super absorbent, lint free, stron..
Two replacement pads for The Carboy Cleaner. Also includes 4 plastic washers. ..